The 2018 Maruti Swift discounts come in the form of an offer of Rs. 25,000 along with Rs. 25,000 for exchange bonus, Rs. 10,000 extra discount (if you exchange with old Swift) and Rs. 5,100 as corporate discount. The total benefits on Swift is Rs. 65,100 and it is available across the country. 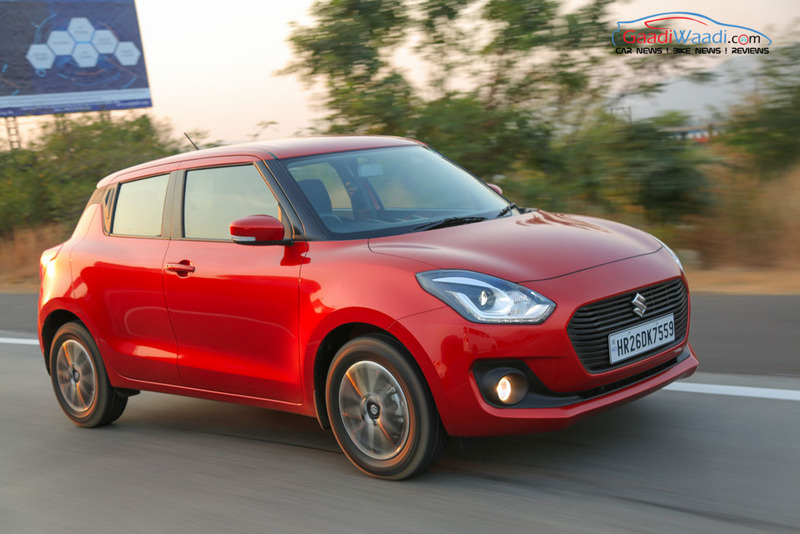 Maruti Suzuki officially introduced new generation of Swift earlier this year and it is one of the best selling hatchbacks in the country. The Indo-Japanese manufacturer usually don’t offer discounts on popular models as they have good demand, but the company is offering special discount on Swift VXi and Vdi till August 15th. Last week, one of our media colleagues exchanged 1997 Maruti 800 and he got Rs. 15,000 as scrap value and 50,000 exchange bonus on Ciaz. Even though Swift V grade misses out on some features compared to top-end model, it still comes with lots of equipment such as music system with CD/MP3, FM/AM along with Bluetooth, USB and Aux-in, remote key less entry, power windows, electronic OVRMs with indicators and more. Maruti Suzuki is also offering dual airbags along with ABS and EBD as standard. The Swift is powered by 1.2 L K-Series engine producing 81 hp of power at 6,000 rpm and 113 Nm of torque at 4,200 rpm. The 1.3 L diesel engine puts out 74 hp at 4,000 rpm and 190 Nm of torque at 2,000 rpm. These engines are mated to 5 speed manual/AMT transmission. The Swift diesel returns 28.4 kmpl and 22 kmpl by petrol model. We are expecting the company to introduce Swift Sport in India later and it is powered by 1.4 L four cylinder Boosterjet engine producing 138 hp of power at 5,500 rpm and 230 Nm of torque between 2,500 rpm to 3,500 rpm. This engine is coupled with 6 speed manual gearbox. The Swift Sport can hit 0-100 kph in just 8.1 sec and top speed is 210 kph. 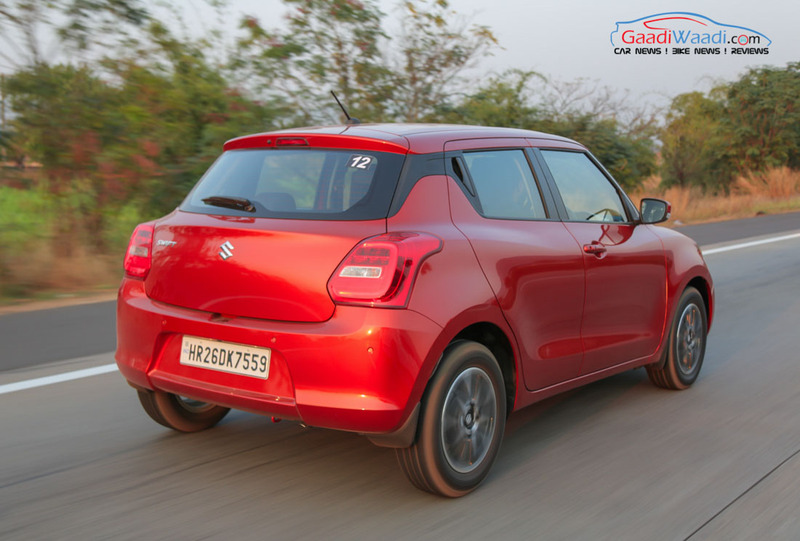 Suzuki reduced ground clearance by 43 mm and stiffened the suspension to improve handling of Swift Sport. The company has also made some changes to interior and exterior. The performance variant is so popular among enthusiasts and customers are eagerly waiting for Maruti to officially launch it in India.